An area of low pressure will create travel problems in the Midwest by the weekend. Widespread accumulating snow is increasingly likely as new model runs come in to our weather center. Coincidentally, it appears we will yet again have two pieces of energy coming together over the Midwest to amplify snow totals across the area. The southern stream will have more moisture to work with, as Gulf air is deposited into the expanding area of cold air to the northwest. Specific accumulations are still unclear, but an area of 3-6" or more would be a good bet at this point. Snow totals with the northern stream may be on a similar scale, as the snow will be light and fluffy and have the ability to accumulate quickly. Pockets of air below will become trapped within the snowpack, allowing for more beefy totals. Below are two computer model projections of total snow, both are relatively very similar. As the are of low pressure departs, very cold air will be ushered in from Canada. Winds will shift to the northwest and open the flood gates of cold Canadian air directly into the Midwest by Sunday. Look for highs to be well below normal, as winter shows its full face by next week. 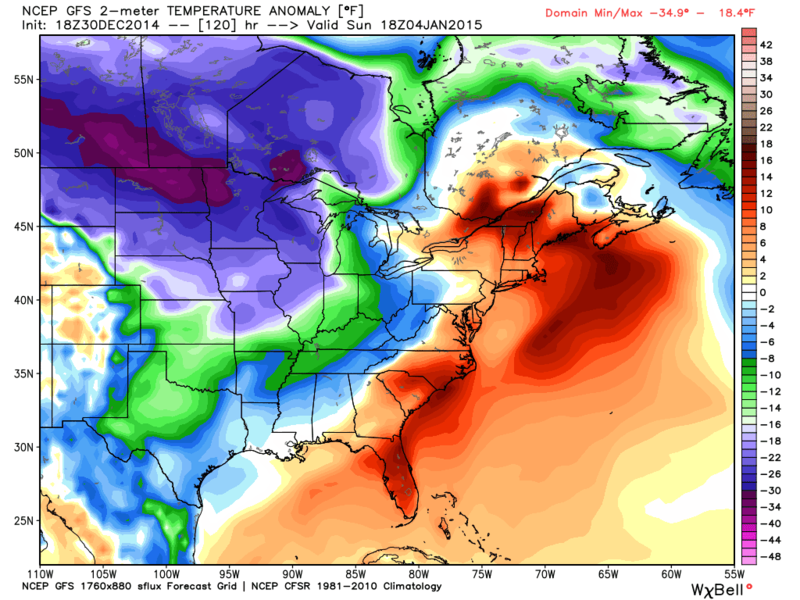 Below are the temperature anomalies compared to average forecasted off the GFS model.